Uncontested with D. Rey & Eytan launches with the two examining the current state of the Philadelphia 76ers, addressing some criticisms of both Joel Embiid & Ben Simmons, a couple of great stories from Darryl as well. We are just getting started, stay tuned next week as we take a deeper look at the Sixers playoff picture! Eytan Shander is a 15 year radio vet and has been on TV locally in Philadelphia for the past two years. Shander has worked for both WIP and 97.5 The Fanatic and currently talks sports on Fox 29’s Good Day Philadelphia. He can be heard nationally on SB Nation Radio 1-6a Eastern, and locally on 97.3 ESPN (973espn.com) 12-2p with Harry Mayes. He also does a weekly show with Brian Westbrook. 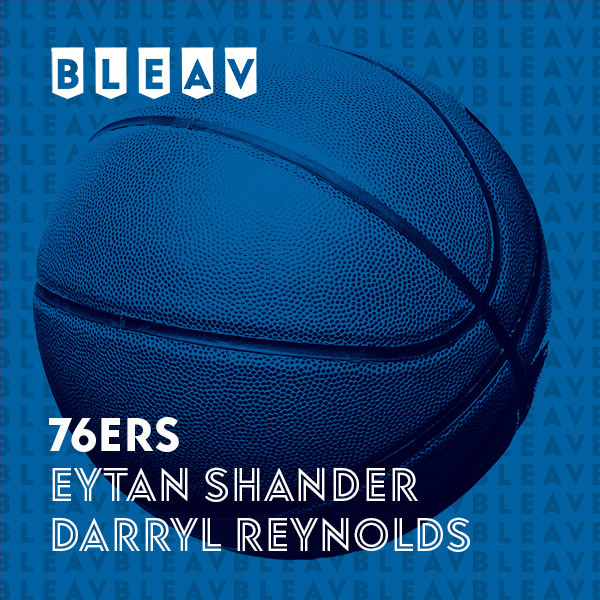 Now, Shander can be heard weekly on the BLEAV network with Darryl Reynolds talking exclusively about the Sixers! Darryl “D.Rey” Reynolds is a South Philadelphian and a basketball legend who started to make a name for his self when he transferred to Lower Merion High School during his junior year. Reynolds joined the Villanova Wildcats in 2013 and graduated in 2017 as 4x Big Five champion, National Champion and one third of the winningest class in the school’s history. After graduation, Reynolds joined the Sixers’ summer league roster but ultimately ended up spending the first year of his pro career overseas. Reynolds returned home and after taking some time off. Unfortunately, he tore several ligaments in his knee that would put his playing career on hold indefinitely. He immediately turned to his other passion and 2 months after surgery, produced his first talk show, Stay Tuned with D.Rey where he sat down with former teammates and other Wildcats to talk about the recent years that resulted in two National Championships. Since then, Reynolds has started his own podcast that revolves around story telling, returned to his Alma Mater as the director of development and covered several events for the Big East as a on-camera personality.